This school house makes a wonderful personalized gift for the teacher, principal or student. May be easily personalized with the name of the school on the top and the teacher's name and year on the bottom. 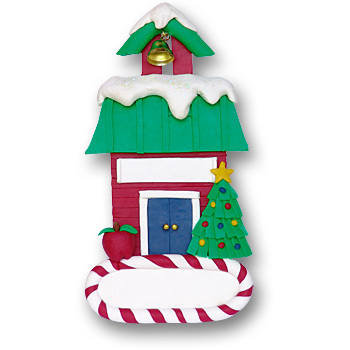 This ornament comes complete with a satin ribbon and hook for hanging. Handmade from polymer clay and designed by Debi Allison.